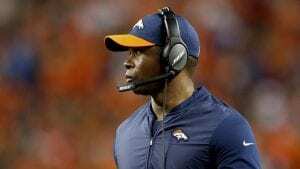 The word rebuild is a rarity in the Denver Bronco vernacular. 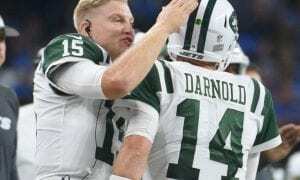 With more Super Bowls than losing seasons, the rebuilding process is saved for teams like the New York Jets, Cleveland Browns, and San Francisco 49ers. Teams that are rebuilding don’t go after top free agents, don’t draft Bradley Chubb over rookie quarterbacks, and they don’t have player contracts like Case Keenum, Emmanuel Sanders, or Von Miller. John Elway doesn’t rebuild, he reloads. A missed field goal here and a lucky break there, and Denver would be right in the thick of it, we rationalize. Well, sorry Bronco Nation. Not only is Elway rebuilding, but he started three years ago. We just couldn’t see it. Rebuilding teams dump high-priced, older players for younger, cheaper talent – Demaryius Thomas and his $17.5m due next year are gone. 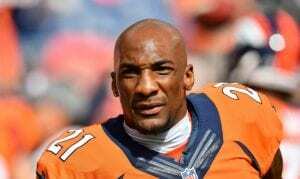 Aqib Talib was traded to the Rams with two years left on his contract, saving Denver $12m. CJ Anderson rushed for 1,000 yards and was released to save $4.5m, and the Broncos replaced them with Courtland Sutton, Royce Freeman, and inexpensive alternatives. Hard to believe that Von Miller and Emmanuel Sanders could be next, but drafting Bradley Chubb and DaeSean Hamilton seem to fill that void. Rebuilding teams draft a rookie quarterback and start over – That’s correct. The Rams took Jared Goff first overall in the 2016 draft, Baker Mayfield is in Cleveland, Sam Darnold is a NY Jet, and Josh Rosen’s in Arizona. John Elway drafted his rookie, Paxton Lynch, it just didn’t work out. Sorry to break it to you, but Case Keenum is the cheap alternative (19th best paid QB in league) that you keep around to play, and mentor, until the new guy is ready. Mayfield had Tyrod Taylor, Darnold had Josh McCown, Rosen had Sam Bradford. Keenum is our Josh McCown. A two-year contract with low money, and low risk. Sounds like a nice plan until Justin Herbert (Oregon) or Trevor Lawrence (Clemson) are ready. 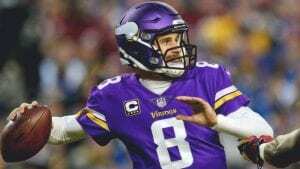 But rebuilding teams wouldn’t go after Kirk Cousins – Did Elway really go after Kirk Cousins or was it just a rumor that the Broncos put out there to make us seem like a free agent player? After Keenum, Elway’s major free agent signings were Jared Veldheer, Tramaine Brock, and Su’a Cravens. Hardly a spending frenzy. Not only are the Broncos sellers in the market, but they were never really buyers. 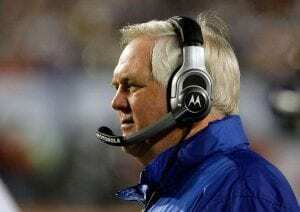 Rebuilding teams get rid of high-priced coaches and replace them with young hopefuls – I guess it’s possible that Kubiak had health issues, but Elway takes a flier on Vance Joseph, a coach with zero professional head coaching experience, and replaces Wade Phillips with Joe Woods? Teams that are rebuilding pick names like Matt Patricia (Det), Steve Wilks (Ariz.) or Matt Nagy (Chic.) hoping they have the next Sean McVay (LA Rams), but rarely succeed. Rebuilding teams lose – I’m not implying that the Broncos are tanking on purpose, or field goal kickers are being told to miss game-winners. But the Broncos are 8-17 under Joseph, and our quarterbacks since Manning have been Trevor Siemian, Brock Osweiller, Paxton Lynch, and Keenum. I get it. 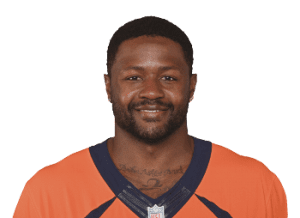 It’s easier to think that Demaryius has lost a step and it was a solid business decision, same with CJ and Aqib, that Keenum was the second best free agent QB on the market, that Vance was supposed to be the next Sean McVay, that we just missed out on Cousins, just came up short to retain Wade, that Chubb isn’t a replacement for Von, that last year’s 5-11 record and this year’s 3-6 were a fluke, and that Elway and the Broncos are just a missed field goal away from being back in the playoff hunt. Because nothing is harder than accepting that horrible, unspoken word. Rebuild. 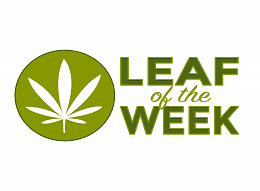 Images via canoncitydaily, 1043thefan, bsndenver, jetswire.usa, dutchpoints, espn, flipboard, timescall, coed. Alan Tapley is an educator, author, and blogger who has lived just outside of Boulder for the last twenty years. His published work includes two novels, two children’s books, a series of cartoons in the Minneapolis Star-Tribune, and multiple sports related articles. His love for family and the state of Colorado is only matched by one thing, his passion for sports. The first baseball game he ever attended was at Wrigley Field, before there were lights. 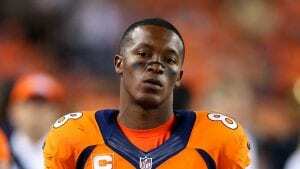 At the final Bronco game at the old Mile High, he allegedly cut out a piece of his seat in the South stands. But regardless of being here for the Avalanche’s last Stanley Cup, the Rockies only World Series appearance, and all the Broncos’ Super Bowl Victories, his wife never fails to remind him that he wasn’t at the University of Colorado in 1990, like she was. The year the Buffs football team won the National Championship.